A philosophy of care wherein the attempt is made to maximize the quality of life when the quantity of life cannot be extended. In the Hospice concept, death is seen as part of life, and the dying individual as one who not only needs emotional and medical support, but one who can teach many valuable lessons to all of us. The mission of Jackson County Friends of Hospice is to provide physical, spiritual, emotional and social support to enable people to live with hope and dignity while coping with terminal illness and loss. To educate the community about end-of life care concerns, advanced care planning, and pain management. To educate the community about the death and dying process and the services offered through the Hospice program. To aid the terminally ill person and the family in the struggle to maintain independence and experience death with dignity. To maintain the dying person in the home as an alternative to institutional care, or an appropriate setting as determined by the patient and family. To provide a variety of care to meet the physical, emotional, social and spiritual needs of the whole person. To supplement and coordinate community resources and programs on behalf of the client and his family. To allow the dying person a life as full and free of pain as possible, and a death with dignity supported by those who love and care for him. To support the family throughout the grief process after the death of their loved one. 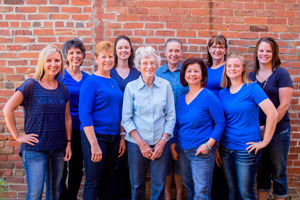 Hospice volunteers are men and women who have been selected and trained to provide services to terminally ill persons and their families during one of the most stressful times of their lives. If you are interested in becoming a volunteer, please contact our office. 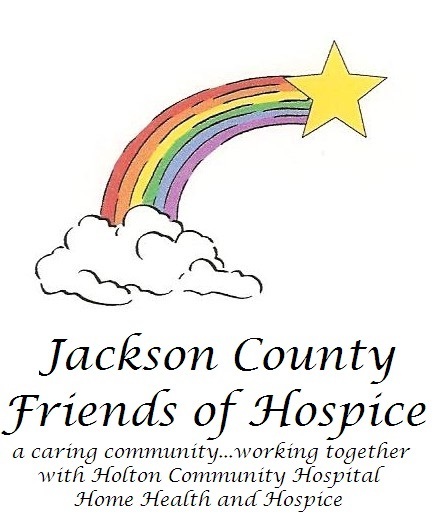 Jackson County Friends of Hospice has tax exempt status under Section 501(c)(3) of the Internal Revenue Code. Donations and memorial contributions may qualify as tax deductions.